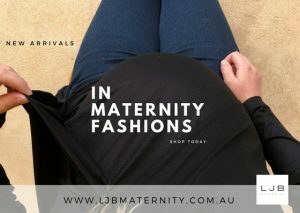 At Ljb Maternity we stock sizes 8-16 & XS-XL and we have designed each garment with our maternity fit. We have a range of styles to suit every pregnancy shape, from pre pregnancy through to post pregnancy. All styles and fabrics are carefully designed with this in mine. Ljb Maternity designs its collection to flaunt off your shape with a more fitted look, while pregnant. We suggest when choosing your size that you choose the same size you were before you became pregnant. ie: If you where a size 10 pre pregnancy then order a size 10. We do have information about the measurements of our garments. For a more accurate fit for your shape take your bust and hips measurements. If you are not sure than contact us by phone 08 8382 5803 or email admin@ljb.com.au and we will assist you further. The measurement we need are for your bust and hips below is a guide on how to take your measurements. Measure the bust at the fullest part with your arms downs and slightly apart. If you are expecting multiples we suggest when choosing your size that you choose the same size you were before you became pregnant. If you are not sure than contact us at 08 8382 5803 and we will assist you with choosing a size. If you have any questions or need any assistance then ring us on +61 0 08 8382 5803 or email us at admin@ljb.com.au and we will be happy to help!